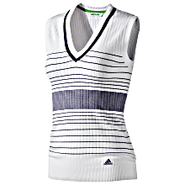 Adidas - adiPURE Vest Keeping up with the cross-court rallies is strenuous business but with this adidas adiPURE(tm) tennis vest you get CLIMALITE(r) sweat protection that keeps you dry and comfortable so you stay focused on the win. Adidas - Warm and sporty the adicolor Padded Vest by adidas features a detachable hood with tie-cord details and a snap-button closure. 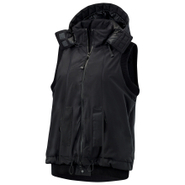 With diagonal zip pockets and an inside zip pocket this down vest is a cold-weather essential. 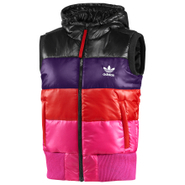 Adidas - Mixing retro-inspired color-blocking with vibrant modern colors the authentic adidas Colorado Vest features a padded hood taffeta lining side pockets with zips and an embroidered Trefoil on the chest. Insight - Rebellion Vest in ACDC Green 100% Viscose. 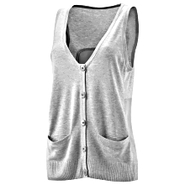 Adidas - Impeccably crafted from a luxuriously soft knit the adidas by Stella McCartney Cover Up Golf Vest puts a feminine twist on a classic with a silky back panel and button placket. 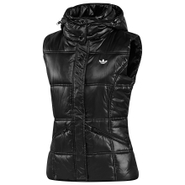 Adidas - Winter Sports PrimaLoft Gilet This easy-to-layer adidas by Stella McCartney Winter Sports PrimaLoft(r) Gilet is a vest designed to block extreme wind and snow. 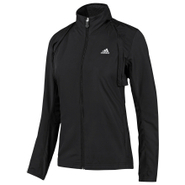 Its ultra-light insulation keeps you warm and snug. Maggie Ward - Leather Cowl Vest in Black 100% Silk. Haute Hippie - Marabou Feather Vest in Storm Open front vest adds an extra dimension to any outfit. 100% Marabou Feather. Lining: 100% Polyester.